The National Construction Code (NCC) is an initiative of the Council of Australian Governments (COAG) developed to incorporate all on-site construction requirements into a single code. The NCC comprises the Building Code of Australia (BCA), Volume One and Two; and the Plumbing Code of Australia (PCA), as Volume Three. Building codes operate within a broader framework of planning codes, material and product Standards and regulations for trades and professions. The Australian Building Codes Board develops model regulations that states generally adopt but not always. Pressure to standardise is increasing. 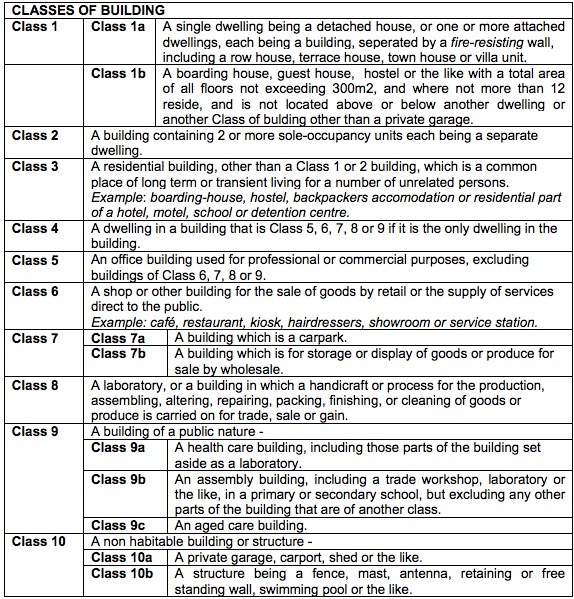 Each state/territory regulates and enforces building codes. For example, NSW regulates building energy and water performance under its planning code through BASIX tool. State agencies and local government manage enforcement through private or government appointed building surveyors: for energy this is typically not done well. This raises questions of compliance with the Trades Practices Act and other consumer law. Compliance can be achieved using generally accepted rating tools. Rating tools can be used to comply with BCA or as voluntary tools to optimise outcomes for clients. Some rating tools developed for voluntary purposes are used for regulation, or in contracts. For example, some local and state governments require minimum NABERS and Green Star ratings for some buildings. BCA stringency is weak by international standards which requires 7‐ 9 stars required in some countries. AccuRate etc can rate to 10 stars – near zero heating and cooling energy requirement. A comparative study of comparative overseas locations showed the overall median rating is 7.5 stars, and the overall mean rating is 6.8 stars. The house designs obtained from the UK and Canada indicate that in these countries, substantial houses are built to relatively very high standards, in compliance with relatively stringent building code requirements. The current efficiency of Australian homes is well below comparative international standards in terms of energy efficiency and greenhouse gas emissions. Going forward, this can be expected to translate into a brake on the Australian economy in a world of increasing fossil fuel scarcity and rising prices. Approved rating tools – AccuRate, FirstRate 5 or BERSpro are generally accepted. Sole occupancy units must meet average 6 stars with no single unit under 5 stars using residential rating tool. Building services for individual units must comply with residential requirements. Common area lighting and central system performance are covered in Vol 1 – non‐residential buildings. Applies to all non‐residential buildings, not just offices. Comply with J0 (deemed to satisfy) or JV3 (use of computer simulation) approach. for specific building and location. To address the growing contribution to Australia’s greenhouse gas emissions by the commercial building sector, in 2010 minimum energy performance requirements were introduced into the Building Code of Australia (BCA) Volume One. Section J of BCA 2010 codifies minimum glazing thermal performance measures for both façade vision glazing and roof lights. The ‘deemed-to-satisfy’ glazing regulations governed allowable glazing areas as a proportion of the floor area of sole occupancy units. Allowable glazing area limits depended on total window thermal performance: Solar Heat Gain Coefficient (SHGC) and U-value , orientation, external shading devices and climate zone (see Figure 3). A spreadsheet enabled industry to assess compliance: this was called the Method One glazing calculator. Like other areas of building regulation, the designer could either follow the prescriptive ‘deemed-to-satisfy’ measures or demonstrate compliance by using a verification method that typically involved dynamic thermal energy modelling calculations. U-value: Coefficient of heat transfer; the rate of heat flow through a window or other building element, driven by a temperature difference across the element; measured as heat flow per unit area, per degree of temperature difference. Solar heat gain coefficient (SHGC): The total solar heat gain divided by exterior solar irradiance; consists of the solar direct transmittance plus the inward-flowing fraction of absorbed solar energy that is re-radiated, conducted or connected into the space. Source: Horne, R E, Hayles, C, Hes, D, Jensen, C, Opray, L, Wakefield, R, and Wasiluk, K. (2005). International comparison of building energy performance standards, Centre for Design at RMIT University, Melbourne Australia. This entry was posted in Efficient Buildings, History and Trends, Regulations and Compliance and tagged ABCB, Australian National Building Code, BCA Section J, Building Code of Australia, JV3, Minimum requi, National Construction Code, Residential Energy Requirements. Bookmark the permalink.